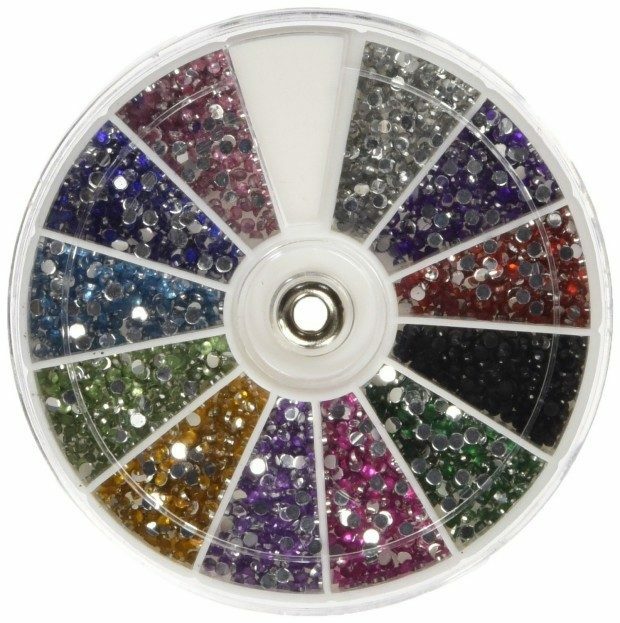 MASH Rhinestones 2400 Piece 12 Color Nail Art Wheel Only $1.66 With FREE Shipping (Reg. $12.99)! You are here: Home / Great Deals / Amazon Deals / MASH Rhinestones 2400 Piece 12 Color Nail Art Wheel Only $1.66 With FREE Shipping (Reg. $12.99)! If you love to decorate your nail, check out this deal on Amazon! You can get this highly-rated MASH Rhinestones 2400 Piece 12 Color Nail Art Wheel for only $1.66 with FREE shipping! Introducing MASH’s first nail art accessory! Retail for up to $15! Mash, Top quality nail art supplies guaranteed!